To all Mission 1 to ISS Student Flight Teams, in the continuing context of real spaceflight all the time, it is with dismay that I report we have now confirmed that a miscommunication between ground controllers in Huntsville and Space Station has resulted in 8 of the 15 SSEP experiments in the Aquarius payload being prematurely terminated. The other 7 experiments are not affected. The 8 impacted experiments were all initiated correctly, and there still can certainly be some good science return, but NCESSE is not in a position to state authoritatively what the impact might be on each experiment – that is something that each student flight experiment team will have to assess. We do believe that the error has limited the science for most affected experiments, and in some cases may preclude useful science. We are sending this notification directly to the entire Mission 1 to ISS community leadership, and to all Mission 1 Teacher Facilitators for the 15 flight experiments, in order to keep everyone informed of the situation. NCESSE was informed by NanoRacks on May 29 that a significant error in experiment protocol likely had occurred on station. We have been working closely with NanoRacks, and NanoRacks with NASA, on May 30 and 31 to understand what specifically happened, assess potential impact to the experiments, and determine a corrective course of action for all affected experiments. We are now in a position to provide comprehensive details. 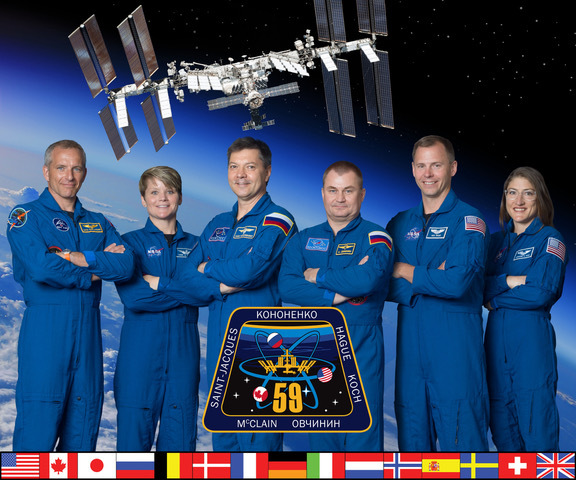 The Module 9 mix sticks were activated by crew member Don Pettit at exactly 9:30 AM CDT (14:30 GMT) on Monday morning. He called down a couple of times wanting to make sure that he got sufficient bending (~5 degrees) to break the ampules, as he was having a hard time hearing the ampules over the ISS background noise. This much bending should be sufficient to get ampoule breakage. The mix stick that had a 6 hour ‘lifetime’ from activation to deactivation was Experiment #14: a Yeast experiment from Cincinnati, OH. Don Pettit was working in concert with ground controllers in Huntsville, AL. The controllers have the detailed list of SSEP crew interaction times and interaction activities for the Aquarius payload. We have explored, and now have no doubt, that the list was detailed and accurate as to what interactions were to take place and when. The protocol is for controllers to guide the astronaut assigned to Aquarius (and trained on the operation of the FME) through the predetermined activities during the scheduled crew interaction times. Don Pettit did indeed deactivate Experiment #14 on time, but due to miscommunication between ground and ISS, he thought he was supposed to deactivate all FMEs that he had activated 6 hours earlier. But only Experiment #14 was to be deactivated after 6 hours. It became clear to ground controllers that Don Pettit had shut down 8 experiments prematurely, after just 6 hours of operation, fully inconsistent with the activities scheduled to be performed. After all the planning by student flight teams, and the nail-biting associated with launch and berthing of Dragon, a miscommunication has now adversely impacted 8 of the 15 experiments. Please note that the remaining 7 experiments are all fine, and astronaut interaction with these 7 is proceeding carefully. Incorrectly deactivated after 6 hours duration were the following 8 experiments. Listed next to each experiment below are the durations that should have been provided for each before deactivation. 6 hours is just 0.25 days of operation. As you can see, nominal operation for these experiments ranges from 2 days to 7 days. It is up to each experiment team to assess what science return might be obtained with 6 hours of operation. In addition, experiment teams will need to assess whether their ground control experiment needs to be flushed and redone to mirror the deactivation after 6 hours, so that useful science can be secured. On May 30, NASA’s International Space Station Manager Mike Suffredini offered a rapid work-around, which attests to NASA’s deep commitment to finding a fix. He suggested that all affected teams ship a newly loaded FME mini-lab by June 8 to NanoRacks at NASA Johnson Space Center. The new “Aquarius II” payload would then launch on HTV-3 (the Japan Aerospace Exploration Agency – JAXA – Kounotori vehicle) on July 21 (2:18 UTC) for rendezvous with the International Space Station. Arrival of mini-labs in Houston by June 8 would just make it possible to get the payload onto HTV-3 in time. However, after discussions, NCESSE in concert with NanoRacks decided this was not a viable solution for 2 reasons: 1) many teams would not be able to secure new experiment samples, load the mini-lab (assuming they had a spare), and ship to Houston, over the course of just 1 week, and 2) most of the affected experiments required refrigeration from receipt in Houston to transfer to ISS, and we have no capability to provide refrigeration for an HTV-3 launch. We have thanked Mike Suffredini for the HTV-3 offer, and have therefore decided on the following fix. The Mission 2 to ISS payload of 11 experiments — designated Antares — is now manifested on the first operational flight of the Falcon 9 rocket with Dragon, we believe designated SpaceX 1, currently scheduled to lift off from Kennedy Space Center on September 24, 2012. NanoRacks has room for 9 more FMEs in the Antares payload, which is just enough room to re-fly the 8 experiments from Mission 1. So let’s rise to this new challenge. I understand that this may pose significant timing issues with possible student graduation, but that was already part of the equation regarding analysis of results. There is also a possible advantage: many of the 8 experiments might still indeed get real science return with an experiment duration of only 6 hours. So a re-flight in the Fall could provide possibly two data points for such experiments. Regarding the experiments on Station right now, clearly, ALL teams should conduct their full analysis on the return of their experiment. Your mini-lab was in orbit, was initiated correctly, and even though terminated incorrectly, this is very real data. It reflects 6 hours of operation of the experiment in microgravity. Depending on the experiment, one could even imagine surprising results, reflective of a 6 hour duration being better than than the duration that was planned. It is the nature of science. 1. There is another opportunity for Mission 1 Teams to come down and see a launch of their experiment. 2. The Mission 1 Teams were part of history as their payload rode aboard the first commercial flight to ISS. Now they will be part of the realization of that testbed flight as their experiments are placed on the first fully operational flight of SpaceX Dragon. Dr. Harri Vanhala, NCESSE’s Flight Ops Manger for SSEP, and NCESSE Deputy Director, will be quickly contacting each Teacher Facilitator for the 8 experiments to discuss the impact of early experiment deaactivation, the re-flight option, and assess if there are any hurdles to be overcome. ** Note that the 7 other experiments are proceeding normally, and are not being provided this reflight option. We – NCESSE and NanoRacks – will work with you to make this happen. We’re in this together, and that’s what teams do when the going gets tough. Yikes!!!!!!!!!!!!! We will run a 6 hour trial on Monday when we get back to school so we will have something to compare. We will also gratefully accept the chance to fly again on the next mission. We will need new Nanorack tubes for the next launch. This is a great lesson in Murphy’s Law. On the good side the kids didn’t do anything wrong and have learned that everyone makes mistakes. SSEP is undertaken by the National Center for Earth and Space Science Education (NCESSE) in partnership with NanoRacks LLC. This on-orbit, real research opportunity for students is enabled through NanoRacks LLC, which is working in partnership with NASA under a Space Act Agreement as part of the utilization of the International Space Station as a National Laboratory.